Dark and cold Winter came back to Sweden. But no worries, there are a lot of exciting things going on during the Winter in Sweden. A lot of light decoration will lightning the indoors, and you can enjoy winter sports like ski, skating outdoors. For me, I already put the stars beside my window and for sure waiting for the Lucia and Christmas. 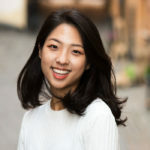 I am from Korea and we also celebrate Christmas back in my home, and I guess many other countries like yours are celebrating Christmas as well. 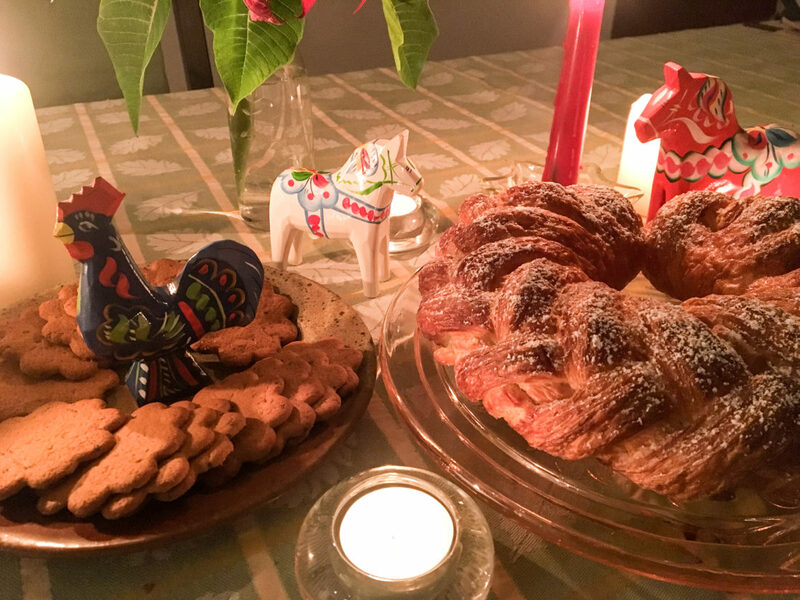 However, Lucia’s Day is celebrated mostly in Scandinavia. Lucia’s day is December 13th every year. 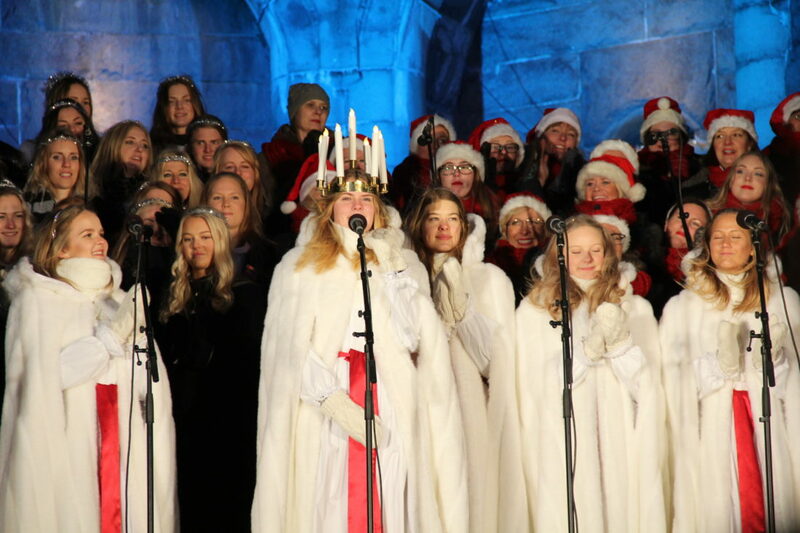 Swedish are marching with candle crown, choirs sing a song, eat saffron buns and drink hot wine glögg! Lucia is a Saint who was born in Sicily and died in 304. Her name comes from Lux which means light in Latin. Her father died early, and she had a sick mother. 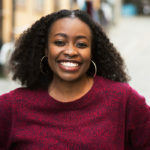 After her prayer cured her mother’s illness, she decides to worship God and promised to live a life of helping the poor. So she starts to give food to the persecuted Christians in the underground caves in Rome. Whenever she goes into the underground, she had to wear a candle crown on her head to have food in both hands. 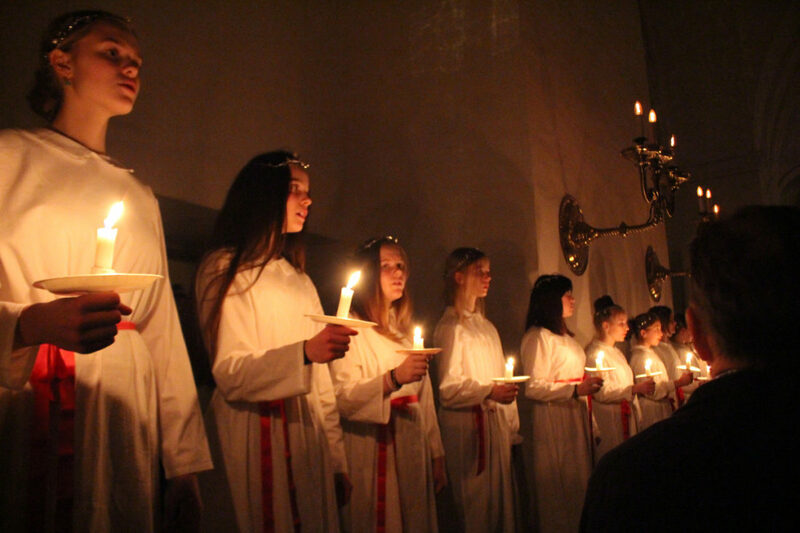 There are many legends in Sweden how does the Lucia come as their own culture. One of the myths is that a ship arrived in lake Vännern on the darkest day of the winter. St. Lucia was in the front of the boat shining in white clothes. She brought full of food on the ship and gave all of the meals she had and gone with the boat. In the old days, Swedish believed that supernatural phenomena occurred on December 13, which is the longest night in a year. The day was thought to be the day that all ghosts and souls survived, and the animals can speak the human’s language. So people believed that animals and people should eat a lot with nutrients to be in safe. 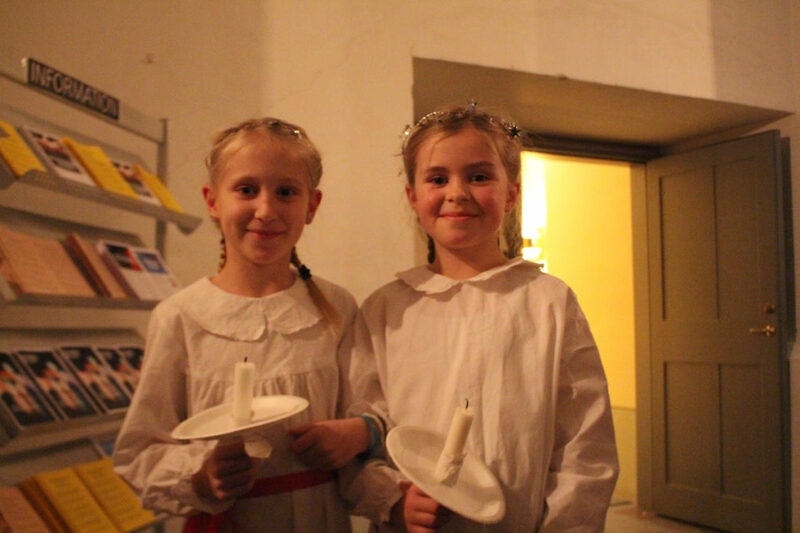 Nowadays, those believe continued with Lucia march. Memorial events are holding in many places like towns, schools, or churches. I highly recommend you to go to Lucia concert. Lucia concert is held in a lot of places but especially in the cathedral. A lot of young children will dress up like Lucia, angel, star-boys, or Santa and sing songs in the old Swedish tradition. 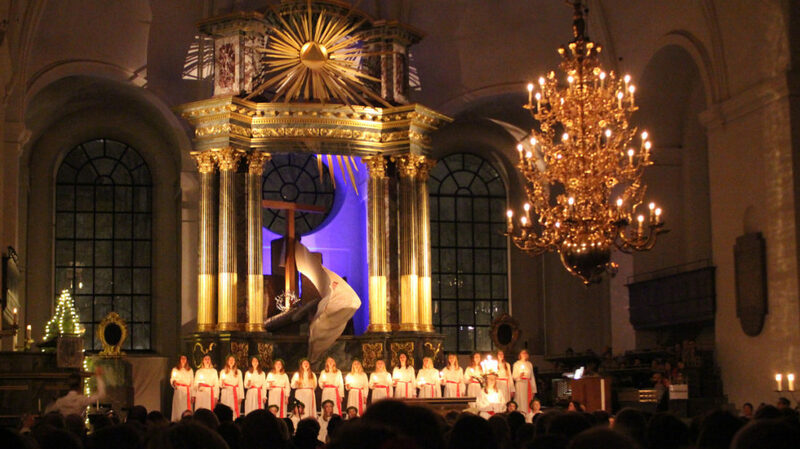 Last year, I wanted to go to the Lucia concert at Uppsala Cathedral, but all the tickets were sold out, so I instead took a train for an hour to Stockholm and went to the Lucia concert. Even though it was freezing and far away from my place, it was worth seeing it. I enjoyed seeing Lucia’s performances. All the children so so beautiful with their wonderful voices. The video below is the one I took from the last year Lucia’s concert! 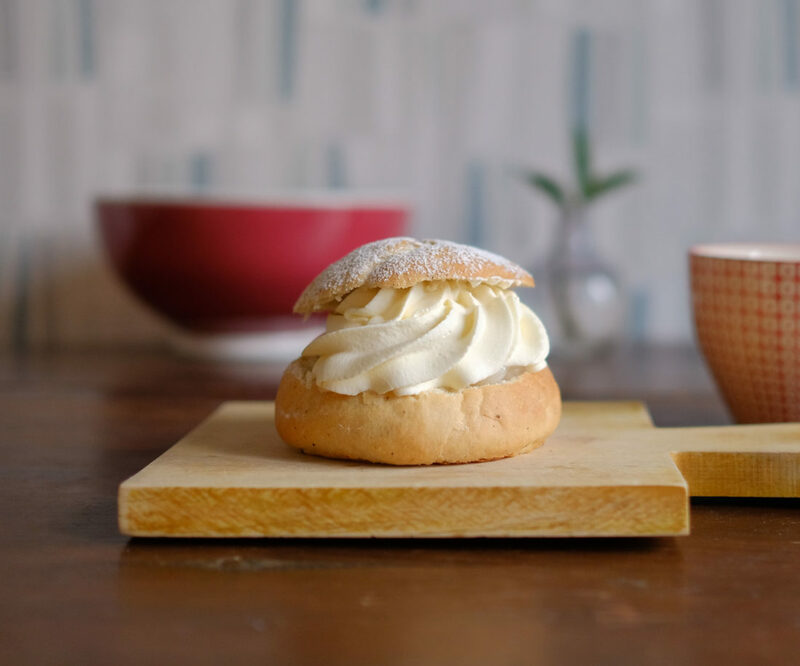 Also, you should try Lussekatter and Glögg. 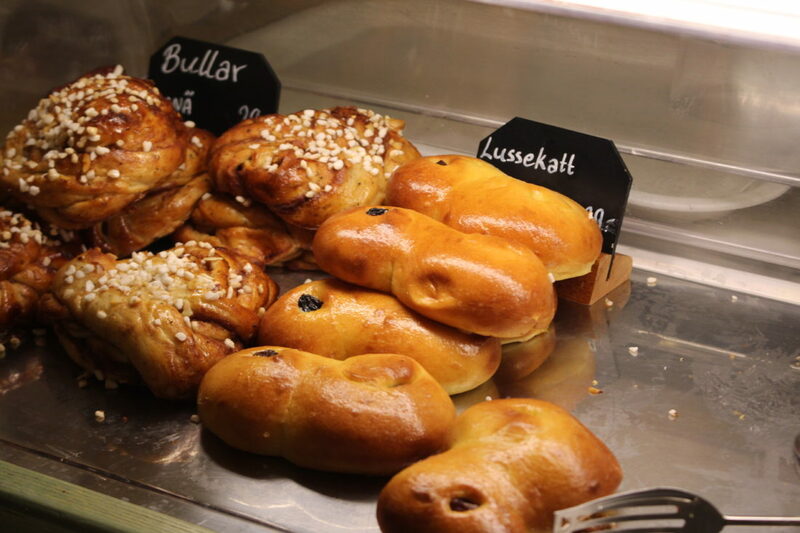 Lussekatter is a saffron bread named after djävulskatter which is the devil’s cat. It is an S shape like a cat sitting on, and a raisin looks like an eye of the cat. It is not so much sweet but full of saffron flavour. 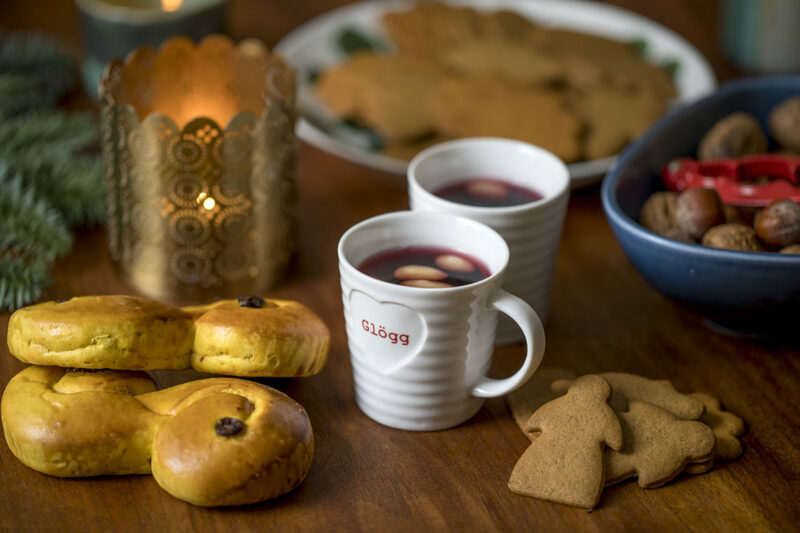 Glögg is a hot wine which is mostly drunk during the Lucia and Christmas. 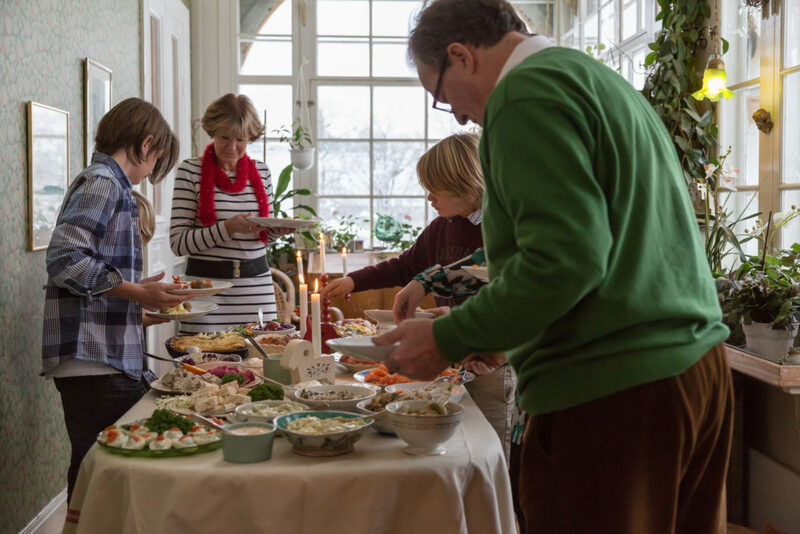 The interesting thing in Swedish glögg is that it is boiled with a lot of different things like almonds, raisins. So it makes the flavours plentiful and keeps you warm in the cold at the same time.